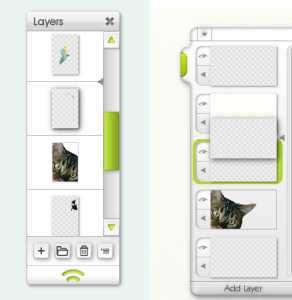 There’s a cat in my layers panel? Home » There’s a cat in my layers panel? There’s a cat in my layers panel! What’s he doing there? He’s not a bug, honest! That’s Tycho, Ambient Design’s resident cat, the one who’s really in charge of the whole operation. You’ll find he occasionally pops up in the layer palette in the background when you’re dragging a layer, and can also sometimes be found biting the corner of the About ArtRage window or the update window. If he is getting too playful, try waving your mouse in front of the screen to distract him.